Collection of jewelry “The Sunny Stone of Amber” offers silver pendant with the piece of natural amber. The drop-shaped form of the pendant, the warm colour of honey and the air bubbles inside the fossilized ancient resin in combination with the silver acanthus leaves add to the subtle and smart design of this product. 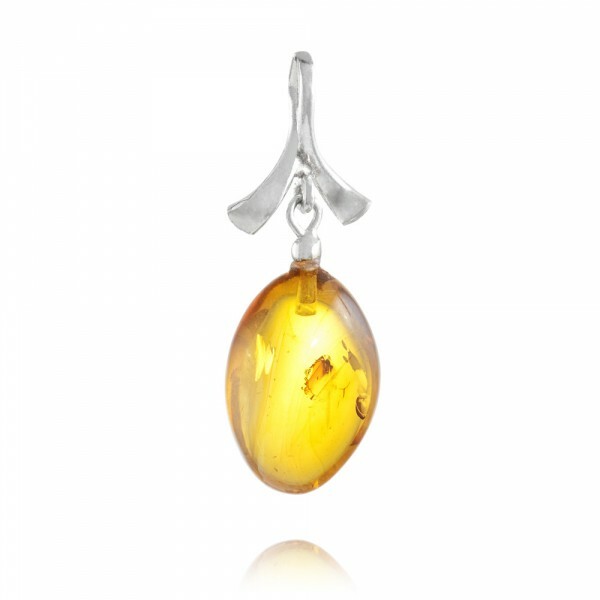 The amber pendant is an exquisite and expensive gift that reveals the beauty of the famous Baltic sun stone.